Locally owned and operated, America Charters has been servicing Southwest Florida's transportation needs for over 62 years. America Charters professionals take personal pride in our relationships with meeting planners and their staff, as well as individual clients, to ensure that their transportation needs are exceeded. 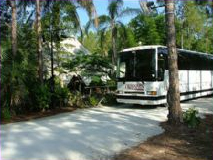 Whenever your convention or meeting transportation requirements include Naples, Marco Island, Sanibel Island, Ft. Myers, or out of state, remember America Charters is THE PREFERRED full-service transportation company.